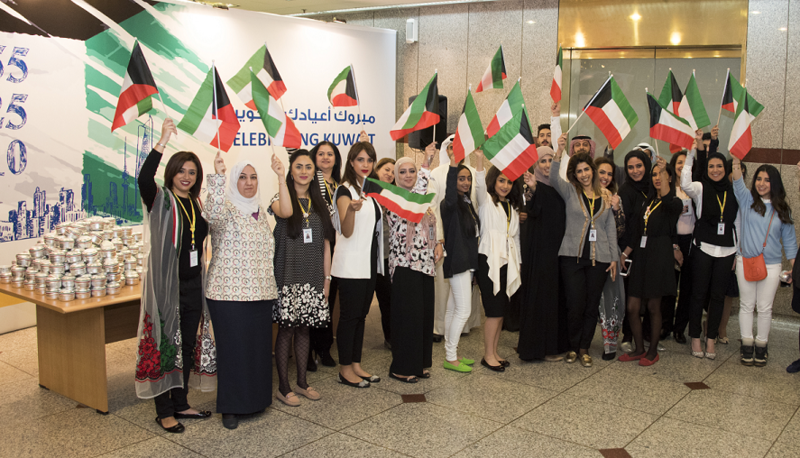 Al Ahli Bank of Kuwait (ABK) marked the conclusion of its celebrations for National and Liberation Day by celebrating this occasion with its staff members on 24 February, 2016. 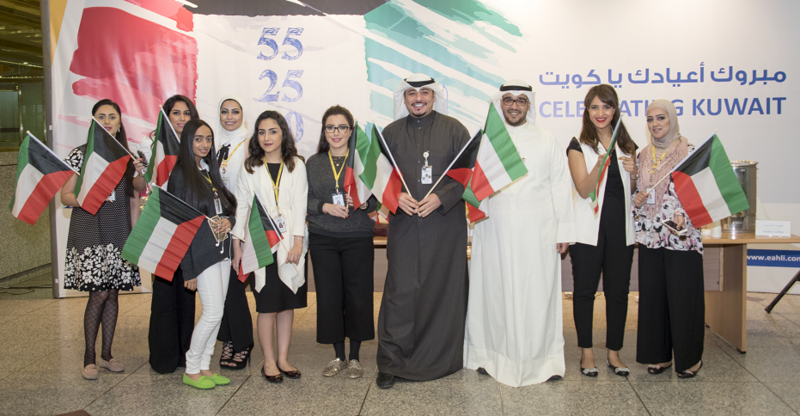 All employees at the Head Office and across all branches were presented with the Kuwait flag and themed pins upon arrival, and enjoyed traditional sweets and hot drinks throughout the day. The Bank marked the start of its National and Liberation day celebrations earlier this month as it lit up its headquarters with the colors of the Kuwaiti flag. The light show continued throughout the whole month of February. 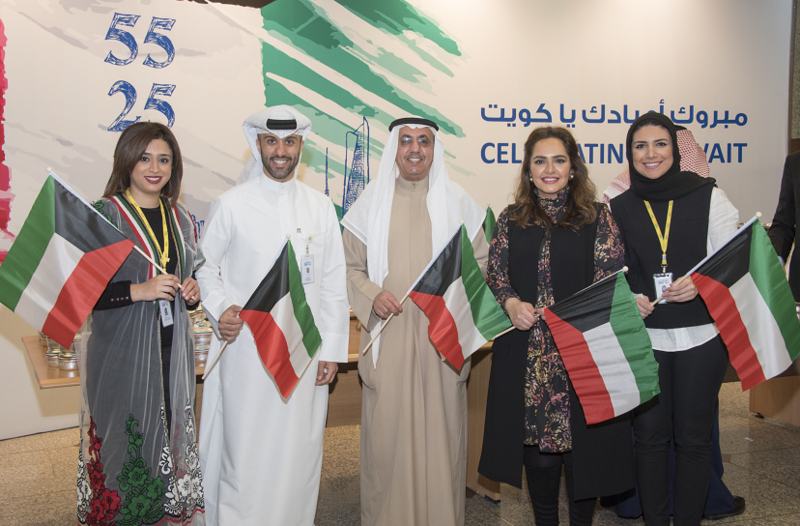 ABK will continue to demonstrate its commitment towards the Kuwait community by celebrating its national holidays every year with its people, with the aim of spreading and strengthening the national spirit among its employees and the communities in which it operates. A video of the event can be viewed on ABK’s instagram @abk_kuwait. For more information on Al Ahli Bank of Kuwait please contact ‘Ahlan Ahli’ at 1899899.